Car Handybar Helps Users In And Out of Their Car. Millions of car users worldwide will at some point experience difficulty in getting in or out of their vehicles. The Handybar® is a simple solution to help overcome this common problem. A portable support handle that clamps easily to the ‘u’ shaped plate on a vehicle door frame, the Handybar® offers extra support and leverage, allowing a person to enter and exit vehicles easily. The lightweight Handybar® supports users weighing up to 25 stone and is small enough to be stored in a glove compartment or carried in a bag and requires no costly installation or vehicle modifications to use it. 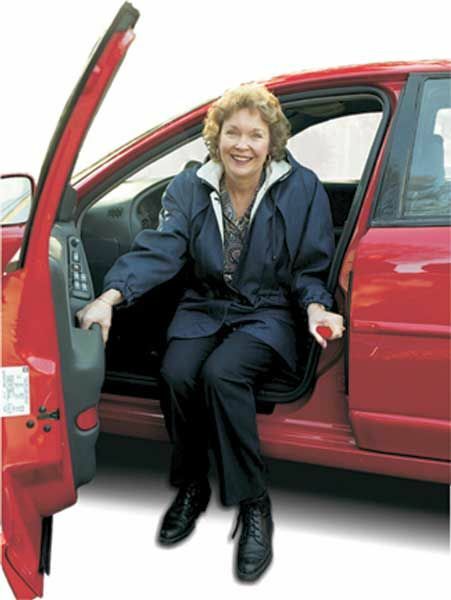 The Handybar® is ideal for both drivers or passengers with a variety of needs, including those with arthritis, back, hip and knee problems, pregnant women, or even those recovering from surgery. In fact, the Handybar® is a great aid for anyone who needs added support to move independently in or out of a vehicle at any time. The Handybar®’s unique design also cleverly incorporates two potential life-saving features. 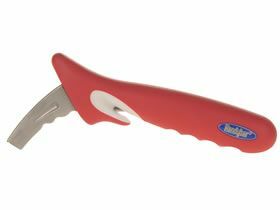 Its seatbelt cutter and side window breaker could both prove invaluable in the event of an accident. Weighing less than one pound and measuring only nine inches in length, the Handybar® fits the majority of vehicles worldwide on both driver and passenger doors. It is constructed of a premium alloy for strength and the ergonomically designed non-slip grip has been crafted for optimum comfort in use. Delighted with the product. Several of the users of our village voluntary hospital car service for which I am a driver, have commented favourably on how helpful the Handy Bar is. Excellent idea and very effective.